With continued investment into U.K. production, our 7 day Express Service now includes our stunning high quality heavyweight digitally printed fleece blankets. Suitable for all seasons, fleece blankets appeal to a wide range of end users. Ensure your brand gets noticed and perfectly advertise your campaign or event. We help brands achieve fantastic results using the latest digital printing technology, which results in a captivating photo-realistic quality, with superb detail and colours. 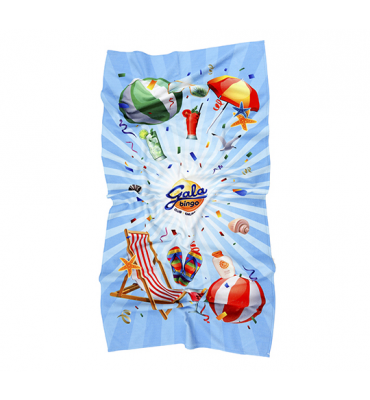 Not just used for snuggling under on cosy winter nights, fleece blankets are also a super promotional giveaway in summer and are perfect for festivals, concerts, BBQs, outdoor sporting events, camping and pet blankets. Reacting to customer requirements and using the latest state of the art printing equipment, we offer a fast turnaround of printed towels in just 7 days. 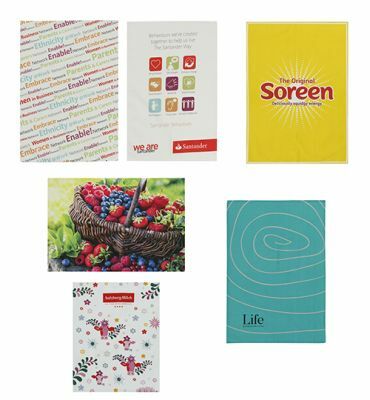 To further enhance the offer for our customers and reacting to market demands, we now offer our Express Service on a quality range of Tea Towels.